Hello, I would like to say a few words about the Dolphin therapy of my son Dardan. I am really happy that we went with the whole family to the Dolphin therapy in Marmaris for the Spring holydays. Everything was good en we were very pleased with everything and the fact that everything went very well with the therapy of Dardan. The dolphins Flip and Frosia, as the dolphin therapist Barbara, were a real miracle for Dardan. After the first 2 days Dardans fear reduced a lot and in the end he had also lost his fear of deep water. Dardan listened amazingly well to Barbara. She was so good that Dardan gained a lot of trust in a very short time. Because of the therapy, a lot of other things improved as well, for example self confidence, concentration and communication. He has also said so many words, that it really surprised me. Dardan swam with dolphin Flip, danced with him, stroke him, gave him a kiss. He was so happy with Flip that he didn’t want to let go of him anymore! It was all so good to see. Because of our own experience with the dolphins, I would like to advice other parents to take this step, because it’s really worth for them and their children. 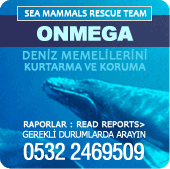 I would like to thank the whole team of Onmega Dolphin therapy: the director Axel, Ellena, dolphin trainers Ricardo and Cynthia and the other therapists Sema (who really gave Dardan tranquillity) and Julia. And especially Barbara and the dolphins Flip and Frosia. Regards from the family Tahiri.